Our custom family name sign would be the perfect addition to your lake house decor! 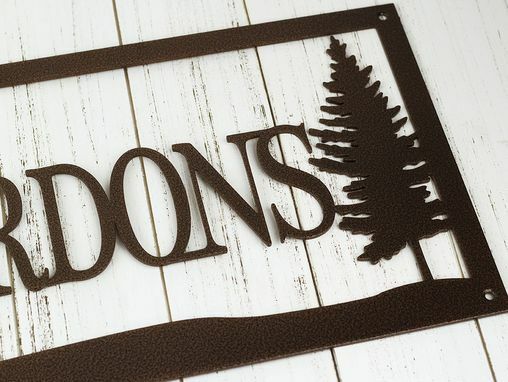 This sign is laser cut from quality 12 gauge steel and powder coated to protect from the weather. 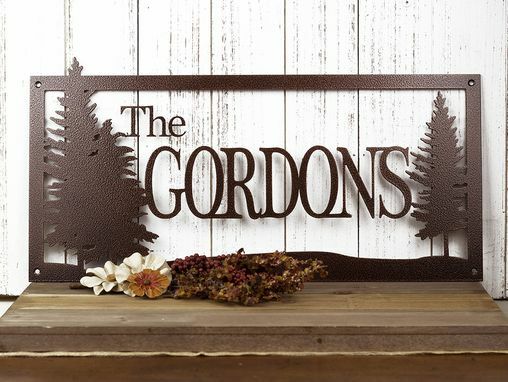 An exquisite sign for your home, or cabin decor! I bought this sign as a thank you to my friends that helped along away and I was extremely happy with how it turned out and so were they. Thank you Austin for making this wonderful custom sign and delivery it in a timely fashion! 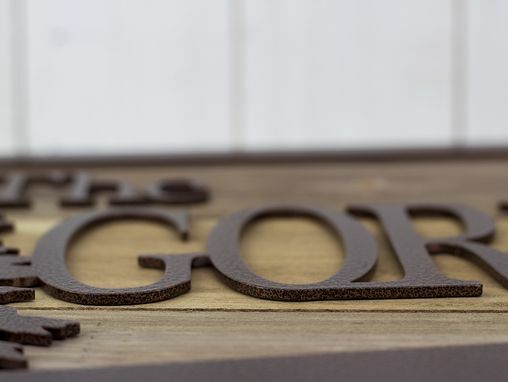 I recommended to a few people for personal and business signs! Keep up the good work and thanks again! Very happy with the final project. The sign was made quickly and exceeded my expectations. 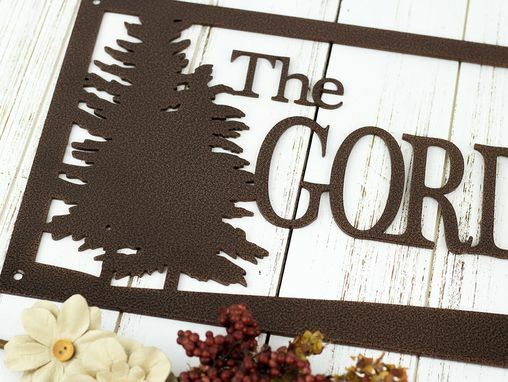 I plan to order additional signs from this maker for my main home and for gifts. Great job! I was so pleased that I was able to communicate with Refined Inspirations and they were able to send me a preview of the sign. I was so surprised how quickly the sign arrived. I absolutely love it and can't wait to give it to my son at Christmas.